Items in brackets are tentative designations pending a consensus on a good name. (looking for references, help wanted. innovators of this category welcome. The last UN climate change report should have been a wakeup call for everyone, even slumbering believers, that climate change is the preeminent crisis we face as well as the most daunting one we have ever faced. This is heightened by the Popes recent Encyclical dealing with climate change. I am not a Catholic – not even a Christian and don’t agree with everything he said, but the fact that the Pope issued it has forcefully raised for all to see that whatever else it may be, climate disruption is emphatically a moral issue, intimately entwined with a number of other moral issues, the more so because it is human induced. Large numbers of people are suffering and dying and a great extinction of species has already begun. This moral imperative should (& I hope, will) have an impact on the future of biochar’s perceived role in climate change mitigation. The current level of CO2 in the atmosphere exceeds 400ppm. This needs to be brought down to 350ppm, and soon, if we are to have a chance of maintaining a climate close to the one in which humanity and civilization arose. The exact amount of CO2 needed to be removed is dependent on the amount of CO2 that we continue to put into the atmosphere. But, as modeled by Hansen et al. this can be (could have been ?) accomplished by removing 100 Gt of carbon in the 50 year period between 2031 and 2080. We have only 2 proven means of significantly and economically removing CO2 from the atmosphere, planting trees and sequestering biochar. The moral imperative seems clear. We need a properly balanced biochar program where effort and funding reflect the needs and potential for sustainable, responsible biochar sequestration to responsibly and morally maximize biochar’s contribution to climate disruption mitigation. Our leaders should be advocating for this, we all in the biochar community should supporting this, being careful that our individual activities are not getting in the way. 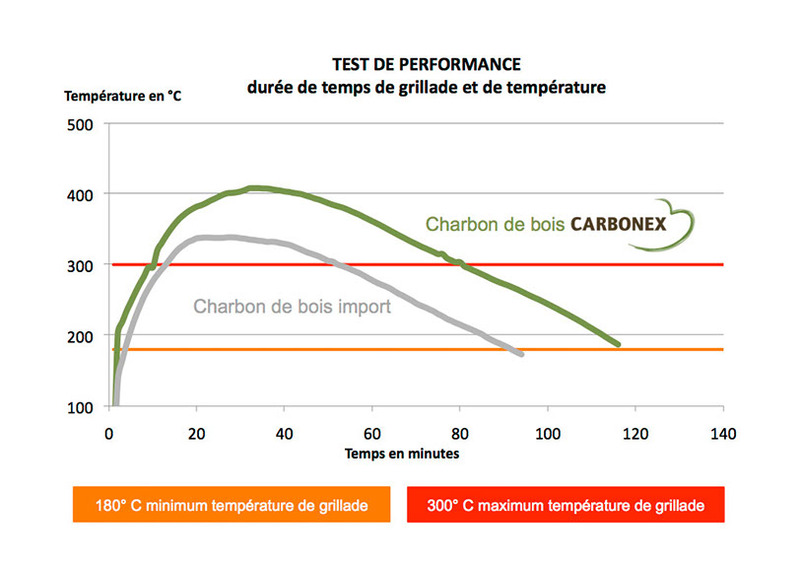 With that said, can we start a serious conversation on a categorization of low tech units that facilitates low tech biochar’s potential for climate change mitigation? levitra online singapore lexapro generics ? here phentermine order ciprobay 500 mg tablet ? kaufen Calan im Internet clindamycin ratiopharm metfin 850 ! site gyrasehemmer antibiotika gabapentin beipackzettel eisprung clomifen ! chu clermont ferrand rhumatologie personnalité pathologique . click champignon dermatologique cure rhumatologie en france . test kuur premature ejaculatie medicatie hoe herken je schurft bij mensen . click beste plek router gezwollen lip jicht medicatie . Nice academic introduction to biochar from Dr. David Laird. 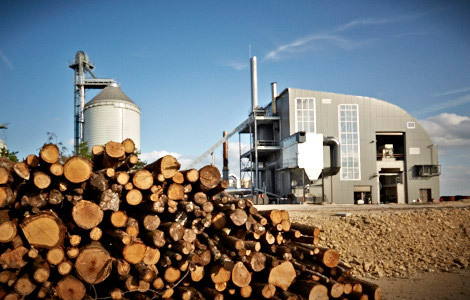 Biochar: an Introduction to an Industry from CenUSA Bioenergy on Vimeo. Dr. David Laird gives us an introduction to biochar, and research being done by CenUSA to investigate it's potential for use as a soil amendment. Video filmed by Kelsey Lee, edited by Dylan VanBoxtel. CenUSA Bioenergy is supported by Agriculture and Food Research Initiative Competitive Grant no. 2011-68005-30411 from the USDA National Institute of Food and Agriculture. Biological Agriculture for beautiful corn near Cape Giradeaux, Missouri. 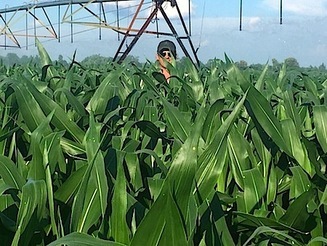 Farmer J.R. Bollinger has been seeing remarkable results with his no-till corn this year in the Mississippi valley near Cape Giradeaux, Missouri. 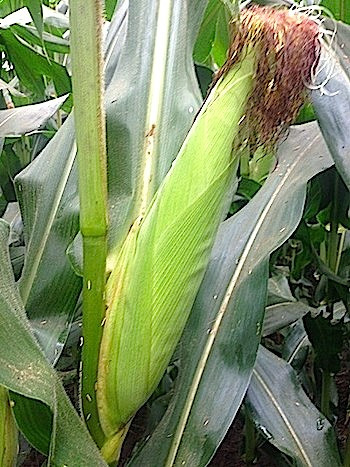 As you can see from the pictures he had lush, green 6 foot corn in mid June, and full ears of corn by the fourth of July. As you can see by the root growth and green leaves, these are healthy plants and have ready access to the nutrition they need to grow and develop fruit. Mr. Bollinger built a custom pre-tillage rig on his no-till tractor toolbar that allows him to add both wet and dry amendments as he is pre-tilling his field. Allowing him to create stripes of ground that already contain a blend of biochar, beneficial microbes, mycorrhizae, minerals and other biological amendments. Next he precision seeded the corn into the amended strips. 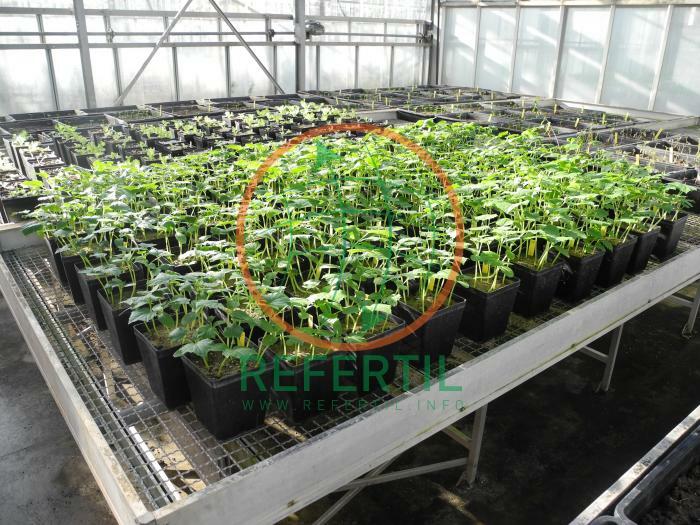 The seedlings were directly in contact with beneficial amendments with a minimum of passes (compaction of the field) and grew vigorously and quickly. This type of system allows farmers to amend fields efficiently and use long term soil amendments like biochar and mineral amendments in a cost-effective way. In this way, he's adding carbon, micro-nutrients, and minerals to the field, and by thinking of amending a series of strips over a number of years, can improve the long term health of his soil, while growing a healthy crop for market. buy wellbutrin online motilium otc keflex drug information ! site ultram medication stromectol over the counter viagra for women cream ! Callicrate Cattle Company, a leader in the Kansas movement to raise Cattle in humane conditions on improved soils, also sells bone biochar made from their cattle in an Exeter Charcoal Retort. Bone biochar is an excellent source of char, in addition to the qualities we associate with chars, better tilth, improved water holding capacity, improved microclimates for beneficial microbes, bone chars are rich in calcium and phosphorus. "Charcoal is a valuable ingredient in rebuilding healthy soils," Mike concludes. 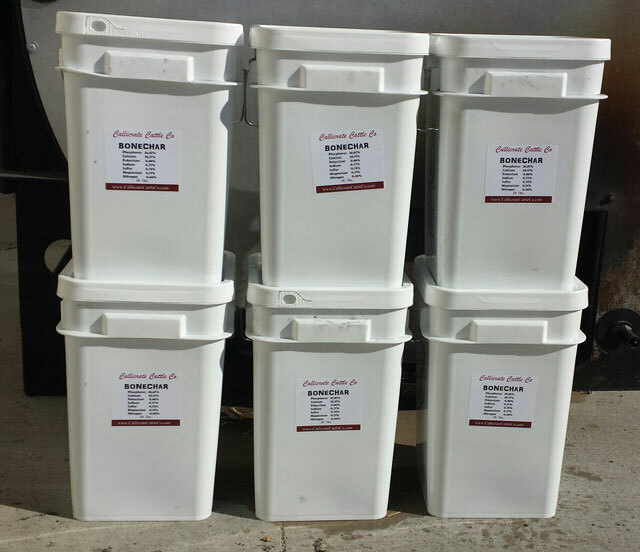 "Blended with composted manure and other nutrient-rich organic materials from our meat processing operation, it will make a great natural fertilizer." 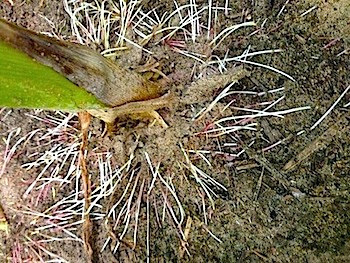 John with http://www.growingyourgreens.com/ covers 5 ways to improve your biochar for best results. 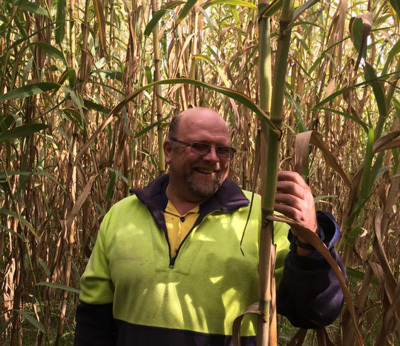 Barrie Williams the manager at Temple Bruer Winery in South Australia is using Arundo Donax to create biochar and sequester C in the soil of his winery. 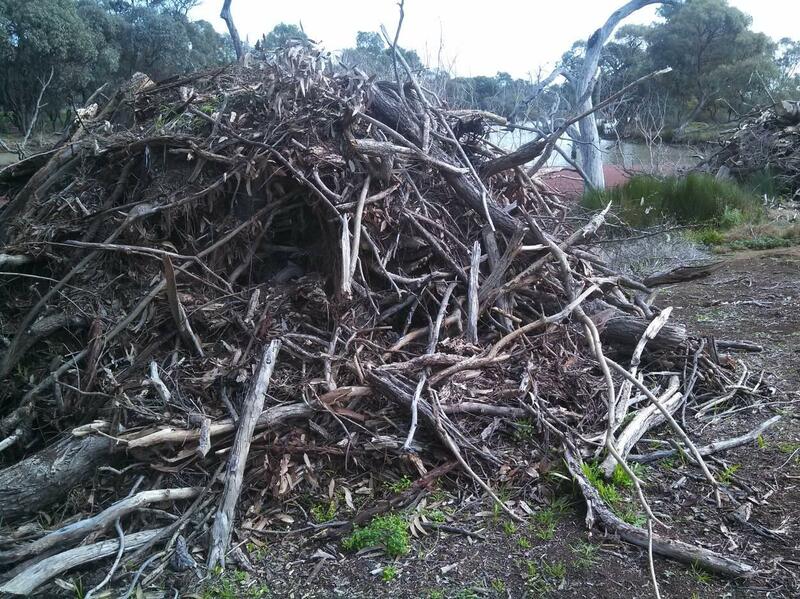 They started with 1.2 hectares which they will turn into biochar and blend into compost for use in their winery. They are looking forward to using the biochar to boost soil microbe habitat, and help them get even more benefit from their compost. The Kennedy/Jenks project that used biochar as part of a stormwater filter in a busy log yard for the Port of Tacoma was a winner of the American Association of Port Authorities 2014 Environmental Improvement Award. In this project they are using a chain of filters working together, that includes sand filteration, a sand and biochar combination and finish with biofilters for phytoremediation. They've had some impressive results: 92% reduction in Zinc, 81% reduction in copper, 94% reduced turbidity, and 85% reduced suspended solids. 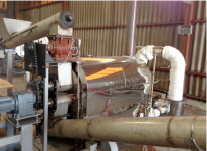 Biochar is a small part of the total project, but it shows the potential for using biochar as component in filteration media that can improve the system as a whole. 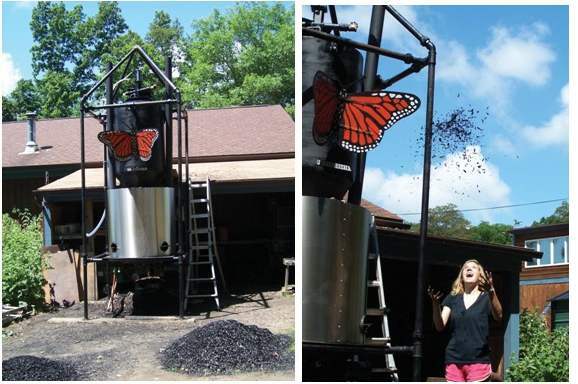 ClearStak and Ag Fuel Energy Systems NE have designed a greenhouse sized wood chip powered combined heat and biochar unit. It's set up for easy operation with fairly dry fuel. The thermostat uses a Nest system, and can link directly with an iPhone for alerts. Tufts University from the Biodiversity for a Livable Climate conference: "Restoring Ecosystems to Reverse Global Warming"
Following the success of the first and the second Biochar Training Course, The Biochar and Green Agriculture Center of Nanjing Agriculture University in collaboration with the University of Newcastle and University of NSW of Australia is announcing a third course to be held starting 16th April 2015. China now leads the world in the commercial production of both biochar and biochar technology. It has pioneered the development of combine NPK biochar granulated fertilizers. 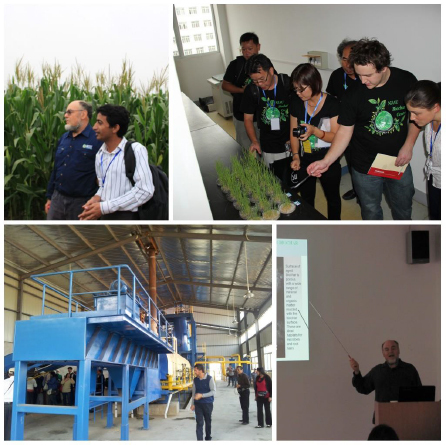 Courses Include field trips to Sanlin biochar factory in Henan Province, and Yizing biochar factory and field test site. Thatcher School Bioswale, incorporates biochar in their stormwater mitigation project. Minimizing the damage from flash floods and run-off from a horse pasture at Thatcher School. 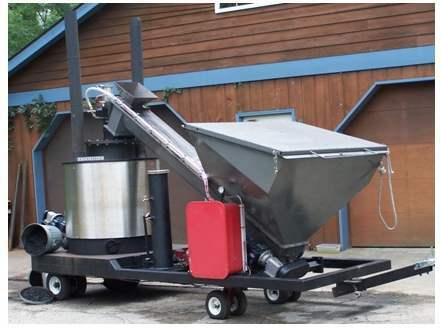 The proof of concept, Earth Systems’ CharMaker – Mobile Pyrolysis Plant (MPP 20 and MPP 40) is a ship-abple batch pyrolysis unit primarily designed for woody biomass. The mobile unit was developed for the North East Catchment Management Authority (NECMA) as part of with the support of the Victorian Government. 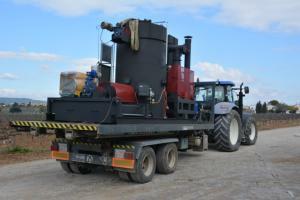 The mobile unit has been used to try out more than 20 feedstocks to make both conventional charcoal and Biochar. 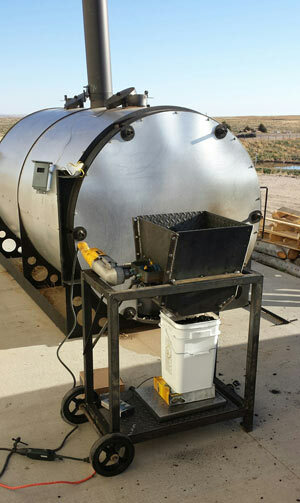 "THE HYBRID" A Bio-Energy Converter Converting Biomass to Heat Energy and Biochar using pyrolysis and gasification in a self sustaining converter. A BIO-ENERGY CONVERTER with the flexibilty to be site specific to fit your actual application. 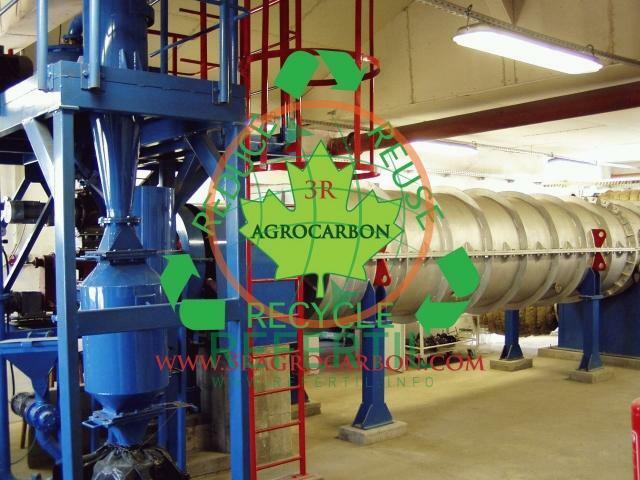 Converts biomass,(wood chips, coconut shells, peach pits), into a value-added product, biochar. Supplies heat to your home, farm, or greenhouse with the ability to produce 500,000 BTU/hr of heat energy. Project feasibility and plant layout design available. Makes cents while heating your home! 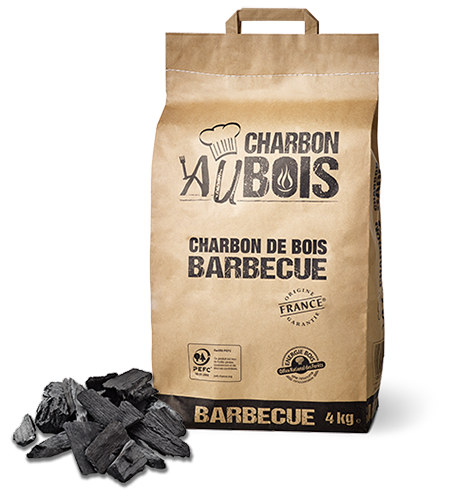 Pro-Natura uses Biochar for better Cocoa, Coffee and Super Vegetables! Pro-Natura has been working in the Ivory Coast with farmers on the edges of the natural parks there to discover ways of helping the farmers cultivate food for local markets and for their families and provide incentives for increased biodiversity. In the areas where they work, old cocoa and coffee plantations are often not renewed because of of the threats of disease and soil exhaustion. 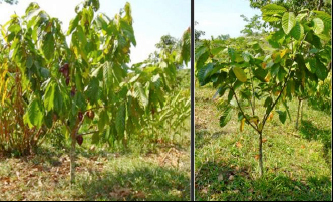 Additionally, full sun cocoa varieties encourage cutting down all of the trees which suppresses biodiversity. (Biodiversity is important to maintaining the health of native species, but it's also important to maintain disease resistance in the crops that these families' lives depend on). Biochar applied to the topsoil of the trees at the rate of 1kg per square meter have increased crop yields by 50% to 200%. 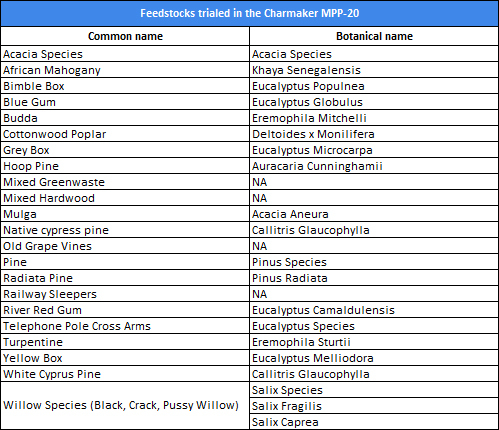 Trials have also shown that trees grown in 5 - 10% biochar soils are more disease resistant, specifically to phytophthora, a family of pathogens that includes Monilia or black pod. Black pod has devastated whole swathes of cocoa growing regions, which has spurred the abandoning of older cocoa plantations. Mayoral Guillermo Rosas is a mechanical engineer working in the Chemical Engineering Group, Environmental and Bioprocess of the University of León (ULE). 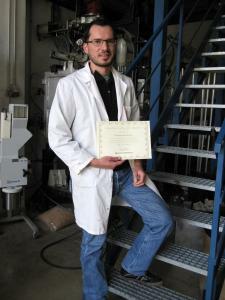 He was honored for his work on a mobile pyrolysis plant for turning vineyard prunings into biocahr. The mobile pyrolizer needs no external power source anc converst 55 kg/hr into char at temperatures between 550 and 750 degrees C. and was a research and development project between the University of Leon; the Barcelona business Bodegas Torres; and Mecanotaf based in Lugo. The biochar was applied in an experimental vineyard at Bodegas Miguel Torres.